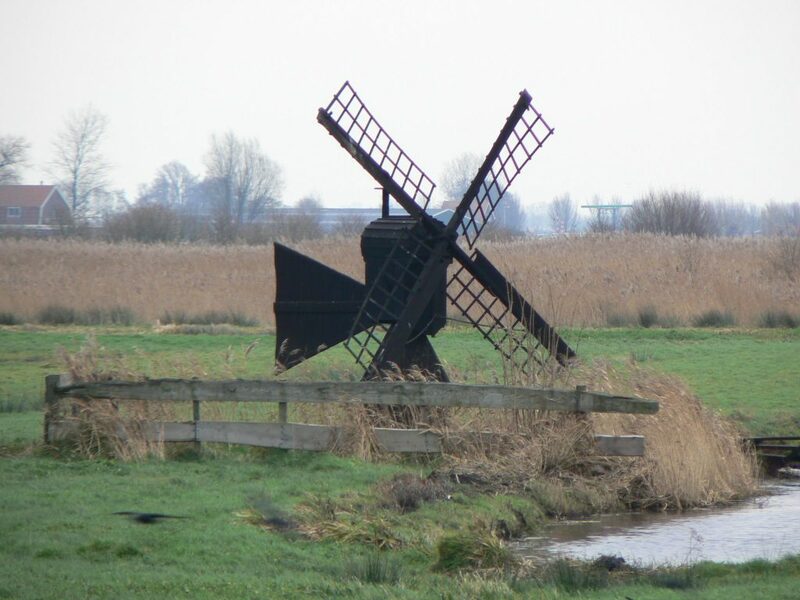 A small windmill like this was used to pump water up from a lower to a higher level body of water. But it’s also much more complicated than that. The Dutch have also made use of dikes to create new land where before there was just water. These are called polders, and, according to Wikipedia, the font of all knowledge, there are about 3000 of them scattered across the country. It’s getting too crowded and we need more land? No problem: we’ll just take it from the sea! The land we’ve reclaimed is lower than the canal or lake that’s right next to it? No problem: the dike will keep them separate, and we’ll put a pump in place to make sure it stays that way. The big cities in the west of the country are getting too crowded? No problem: let’s build a province. Really, the Dutch built an entire new province! How’s that for chutzpah? It’s called Flevoland, and, well, it’s very flat. 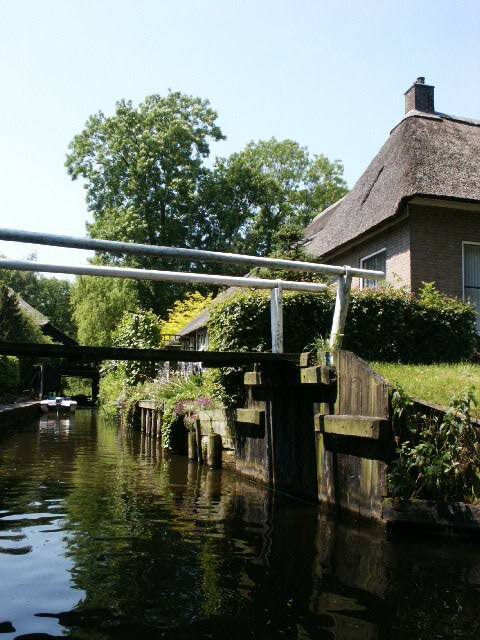 As a result of decades of creating polders and generally succeeding in directing water exactly where the Dutch want it to go, and nowhere else, the whole country is criss-crossed by waterways: canals, rivers, lakes, drainage ditches. (Which is why kids start swimming lessons so young!) And all of these bodies of water are controlled or at least monitored in some way, using dikes, pumps (traditionally powered by windmills but mostly using engines now), locks and so on. And the Dutch seem completely undisturbed by the fact that so many of them live below sea level. Some live in houses that are not just below sea level, but that sit at the base of a dike. These people can look up to see boats passing along a canal! I don’t know about you, but that would make me very nervous! You would think that with the threat of significant sea level rise because of global warming, they would be at least a little concerned. But they aren’t. That’s part of this admirable hubris: complete and utter self-confidence. They’ve built their water control systems. They check them regularly. They maintain them well. And they are completely confident that they’ll work. I wish I could be that confident. Fortunately I live in a town that’s above sea level; well, it’s about 10 meters above sea level. At least it’s something!